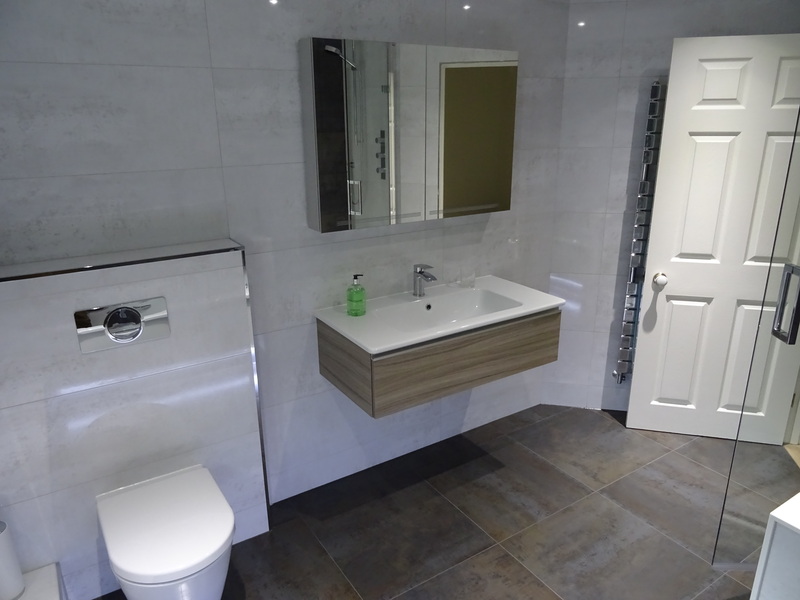 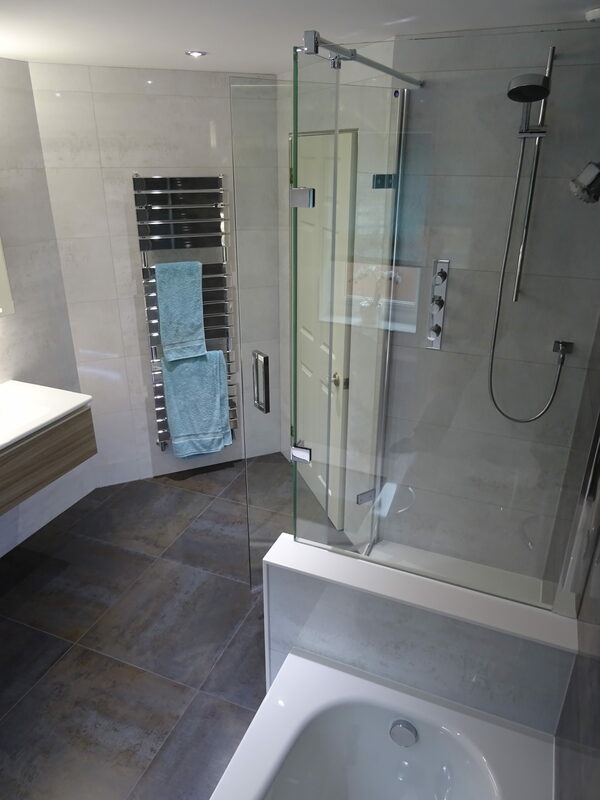 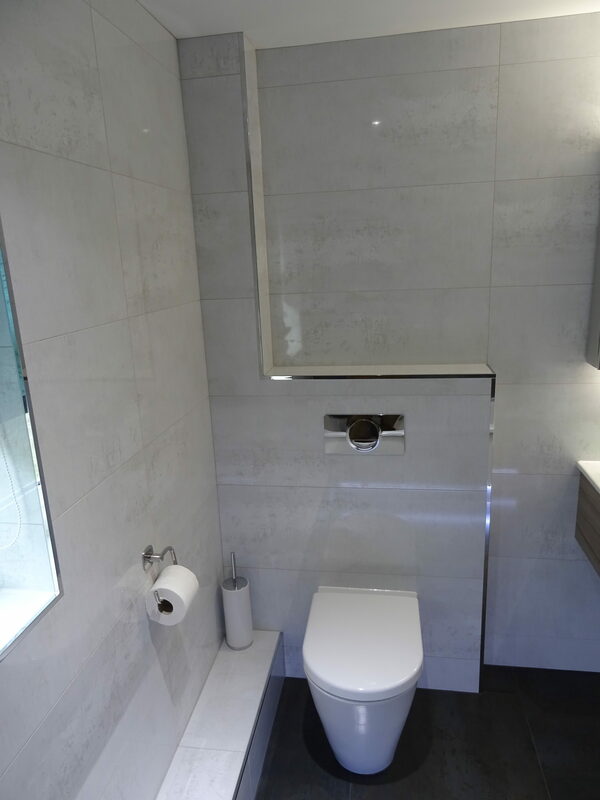 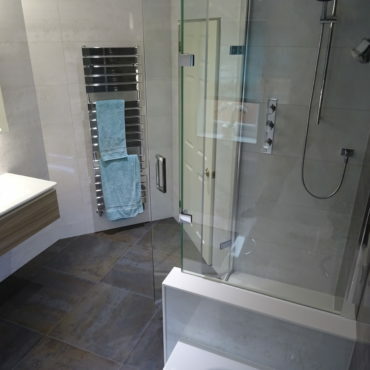 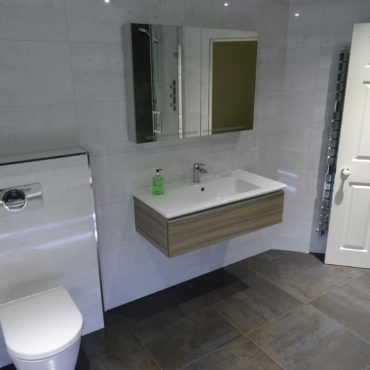 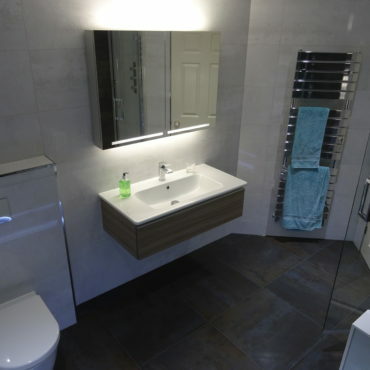 Family bathroom in Berkhamsted. 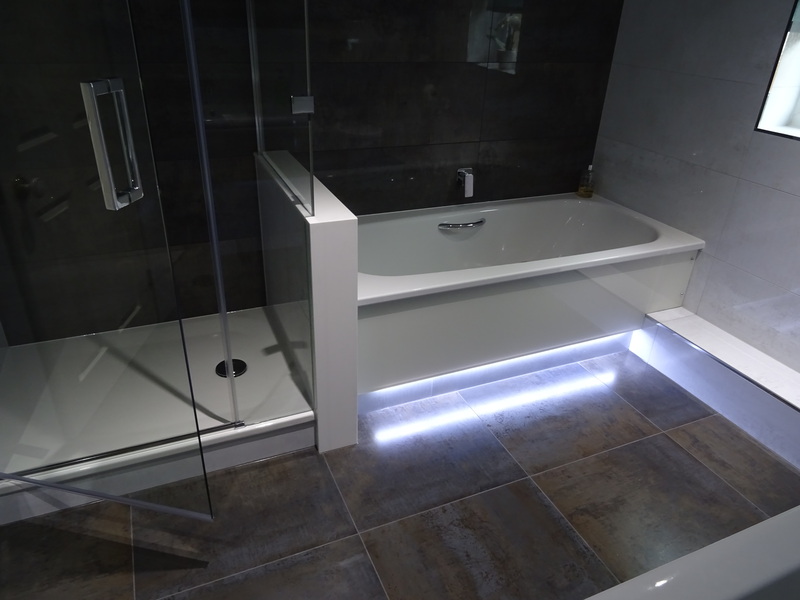 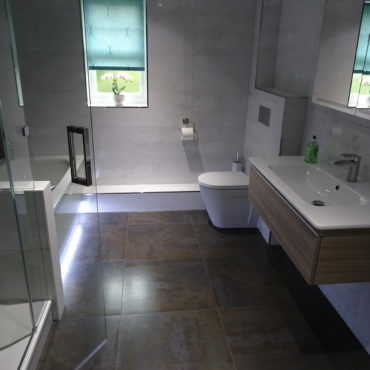 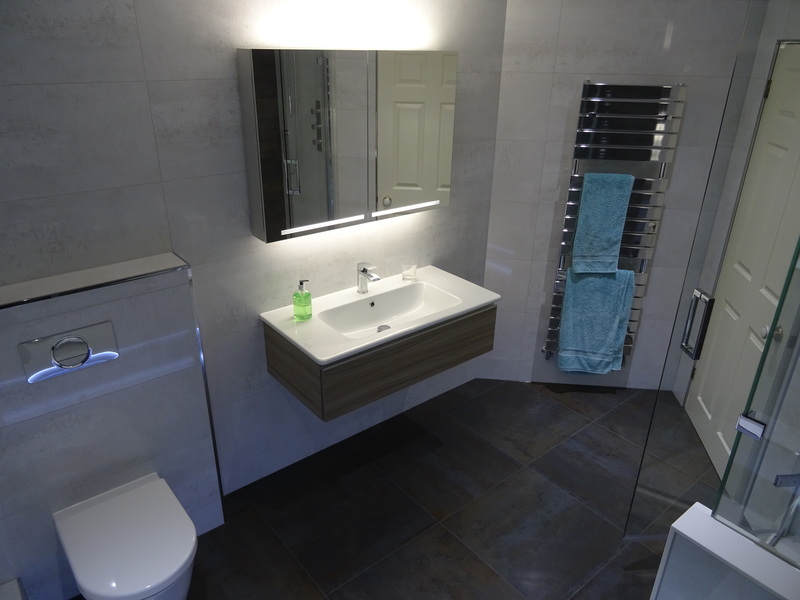 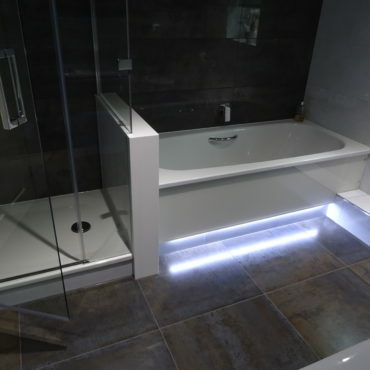 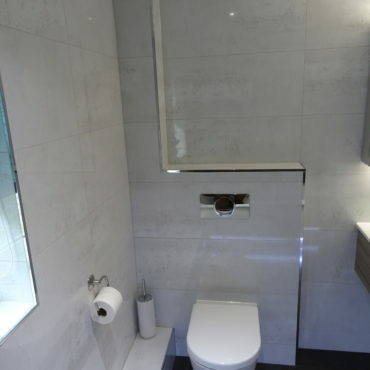 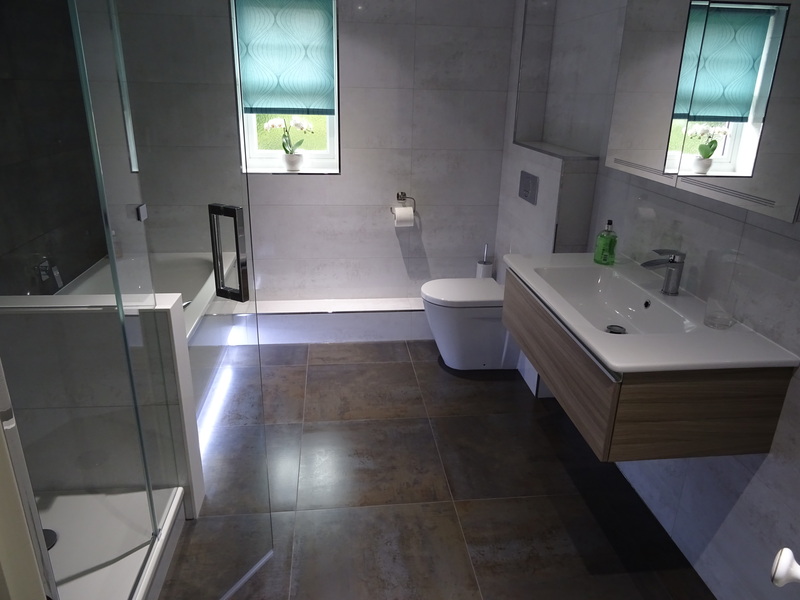 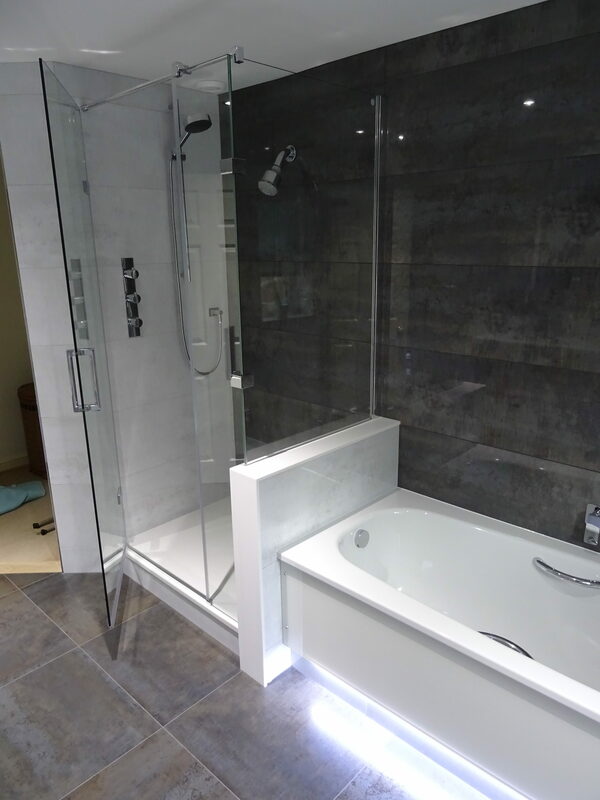 Beautiful under the bath LED lighting to enhance the look of this bathroom. 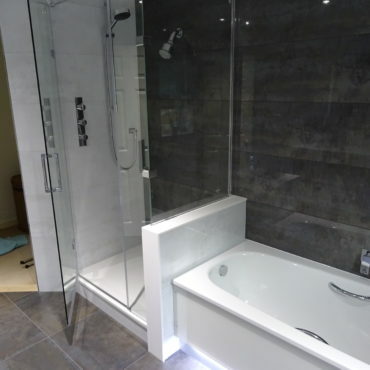 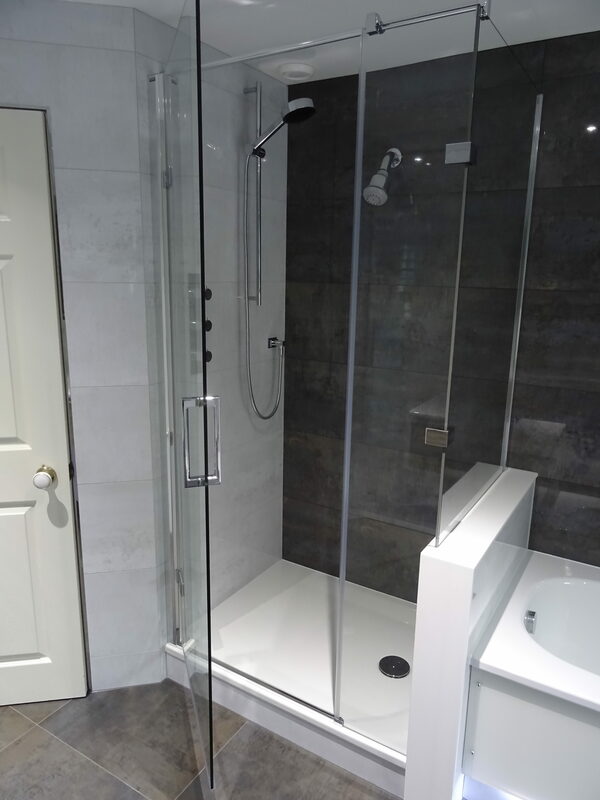 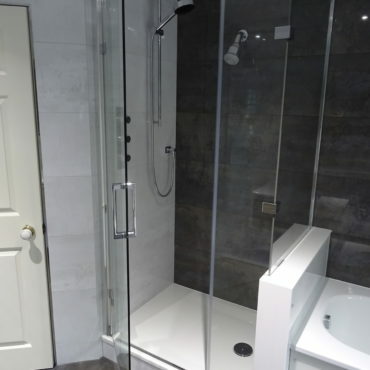 Half height Corian wall separates the bath and shower enclosure, shower glass bespoke made.